Important note for Fall Ops registrants: The ASAP Technical Meeting originally scheduled for Sunday, November 9 has been postponed. The ASAP Users Group, the CSAA Proprietary Council, and the CSAA Contract Monitoring Council will meet as scheduled, followed by the Icebreaker Reception for all Fall Ops attendees. Watch for more information about the rescheduled ASAP meeting in 2015. Even while we are wishing we were at our 2014 annual meeting this week, we’re gearing up for Fall Ops! Have you registered? There is still time! The CSAA Annual Meeting scheduled for October 17-22 is canceled due to the impending threat of Hurricane Gonzalo. The National Hurricane Center predicts that Gonzalo may become a Category 4 storm by Thursday and is on track to reach Bermuda on Friday. The Fairmont Southampton Bermuda, our conference hotel, has advised us that it is entering “Hurricane Preparedness Status” and is expecting a hit. Meeting registrants should check their email for messages from CSAA regarding this development. CSAA is monitoring the track of Tropical Storm Gonzalo and remains in touch with the Fairmont Southampton. We will continue to monitor the situation as it pertains to track and strength of the storm. Any decision regarding a change to the annual meeting will be made as early as is logistically possible. Updates will be sent as new information becomes available. Jefferson Parish (Louisiana) 911 Communication District has announced a change in contact telephone number information. CSAA companies that need to report an alarm for a Police, Fire, or Medical response in unincorporated Jefferson Parish will be affected. Please discontinue using the numbers 504-349-5322 or 504-349-5317. Note that this telephone number change does not affect the municipalities of the City of Kenner or the City of Grenta, Louisiana. Questions? Contact Major Ronald D. Hoefeld, 911 Director at the Jefferson Parish Sheriff’s Office, at 504-349-5673. Steve Shapiro, vice president of industry relations for ADT — a leading provider of home and business security and automation solutions in the U.S. and Canada — has been appointed to the CSAA Board of Directors beginning in October. As vice president of industry relations for ADT, Shapiro is responsible for the planning, execution and management of the company’s strategic relationships with key North American security and automation industry organizations, alliances and initiatives. Prior to assuming this role, he led ADT’s product strategy and engineering initiatives for an extensive portfolio of ADT products, including the company’s revolutionary smart home automation system, ADT Pulse®, as well as intrusion, fire, and home health care systems. 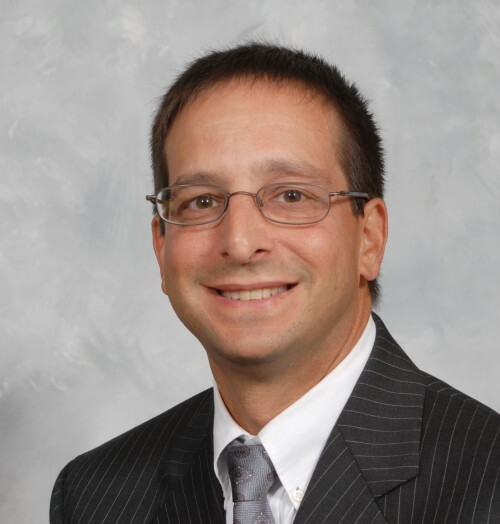 In 2014, Shapiro was elected to represent ADT as a Board member to the Z-Wave Alliance and in 2013, he was appointed as a Board member to the Security Industry Association. Prior to joining ADT, he was a consultant to Sirius XM Satellite Radio where he developed product roadmaps and product definitions for mobile and portable devices. His career in product marketing and product management began at Motorola, where he was responsible for many communications products and marketing plans over 20 years that included two-way radios, pagers and mobile phones, including Motorola’s first color and camera phones. Shapiro graduated from Florida International University with an MBA in Business Administration. He holds FCC professional and amateur licenses, has been awarded eight patents, and earned a Black Belt in Marketing for Six Sigma.